“Who did this? !” the City of Savannah, Georgia decried on its Facebook page, to the amusement of thousands of commenters. 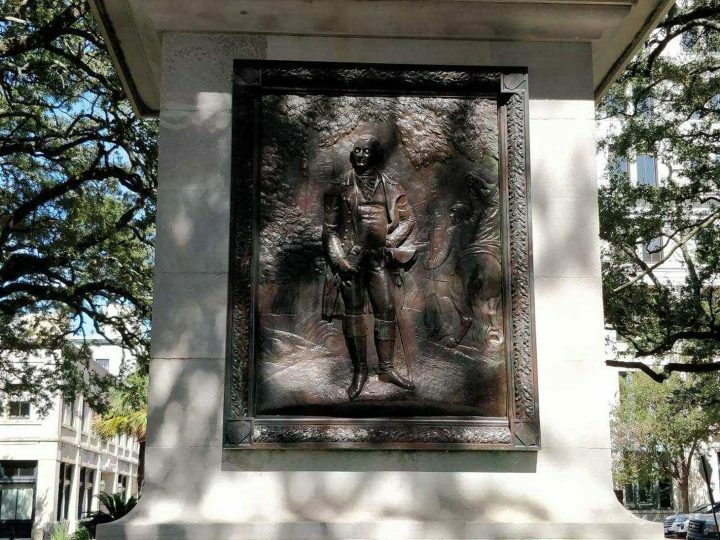 On Thursday, October 11, a prankster in Savannah, Georgia augmented a Revolutionary War monument with a pair of googly eyes. When the City of Savannah Government posted images to their public Facebook page admonishing the rascal, commenters were certainly more amused than offended. Who did this?! 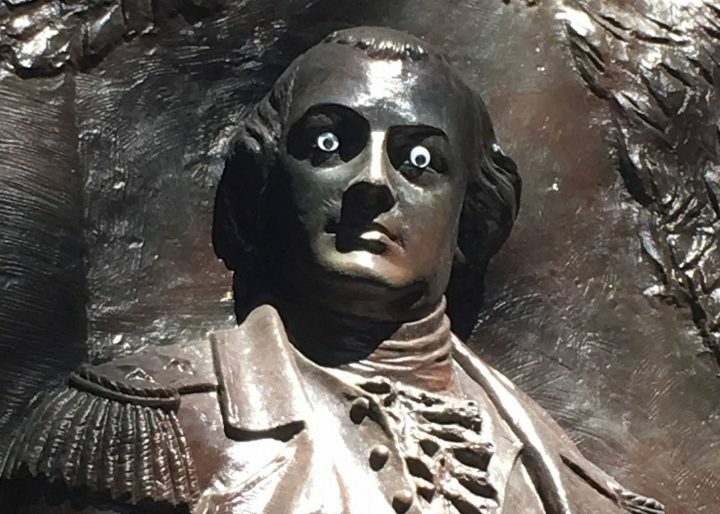 Someone placed googly eyes on our historic #NathanaelGreene statue in #JohnsonSquare. It may look funny but harming our historic monuments and public property is no laughing matter, in fact, it’s a crime. The post has received almost 15,000 “Haha” reactions. “According to the reactions to this post City of Savannah, this absolutely is a laughing matter,” one commenter jeered. “So I’m not a part of this community or anything, but you guys do realize you just dared your entire city to googly eyes all of your monuments right? Just pick the eyes off and move on,” one commenter quipped under the post. Another sarcastic commenter suggested the hashtag #letmegooglythatforyou in response. Nathanael Greene served as a major general during the Revolutionary War. His strategy and leadership are considered seminal in Georgia’s freedom from British military rule. After the war, Greene’s family moved to Savannah, but he died of heat stroke soon after, in 1786. The 50-foot obelisk monument to the veteran was completed in Johnson Square in 1830. Defacing, mutilating, or defiling a grave marker, monument, or memorial to a deceased veteran is considered a criminal trespass, which is a misdemeanor offense. If the damage totals more than $500, it’s felony criminal damage to property. According to Savannah Now, police are investigating the incident.